Mineral Eye Shadow by Blue Water Naturals! Our Mineral Eye Shadow is formulated from the finest natural minerals to achieve the perfect look! Return to technologies that have been in use since ancient times! Our makeup allows your skin to breathe and function normally. 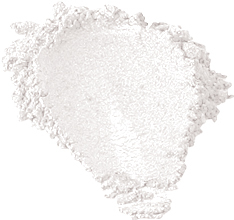 The lack of the filler ingredients found in other makeup can mean less pore clogging. Mineral Makeup sits on the surface of the skin and isn’t absorbed into it! Our Mineral Eye Shadow doesn't contain standard cosmetic ingredients such as binders, waterproof polymers, or other "stick-to-your-skin" agents and does not contain the emollient oils and waxes, fragrance, and preservative ingredients found in conventional formulations. Also, our Mineral Eye Shadow contains no talc so you actually need less product on the brush to see more on the skin. You can alter the coverage by using the right brush. The longer the hair is on the brush, the more coverage you will achieve. ORDER NOW FOR PRIORITY DELIVERY! Copyright © 2010-2016, Blue Water Naturals, Inc. All rights reserved.